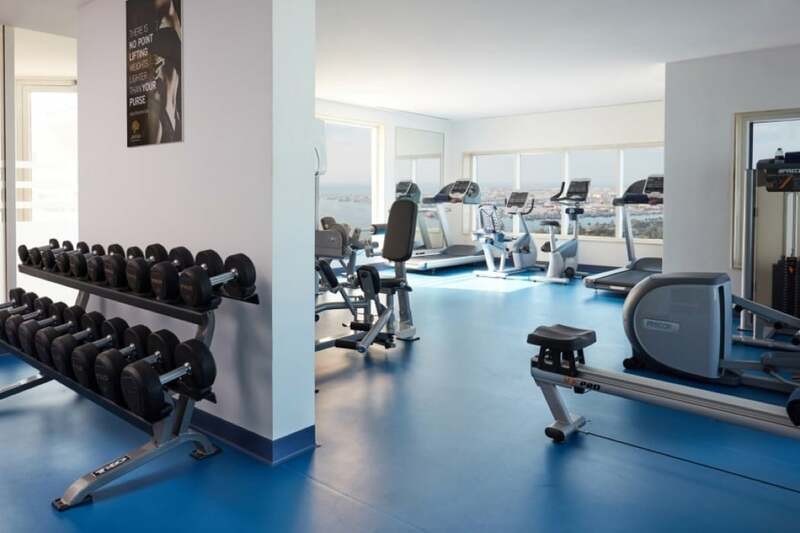 For a multi award-winning, luxury hotel in the heart of the exciting city of Abu Dhabi with a fabulous selection of panoramic rooftop fitness and leisure facilities, check out Jannah Burj Al Sarab. It boasts the fastest hotel internet in the world too! Abu Dhabi is the capital and the second most populous city of the United Arab Emirates; known for its fabulous skyline of modern towers, spectacular waterfront and Sheikh Zayed Mosque; the 6th largest mosque in the world. 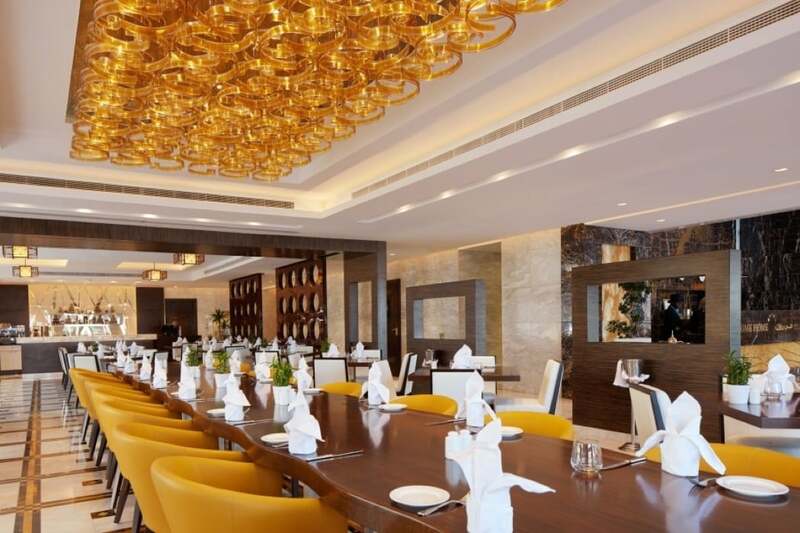 The hotel lies just 30 minutes from Abu Dhabi International Airport and 1.5 hours from Dubai International Airport. Both British Airways and Etihad fly direct from London to Abu Dhabi with flight times of just over 7 hours. 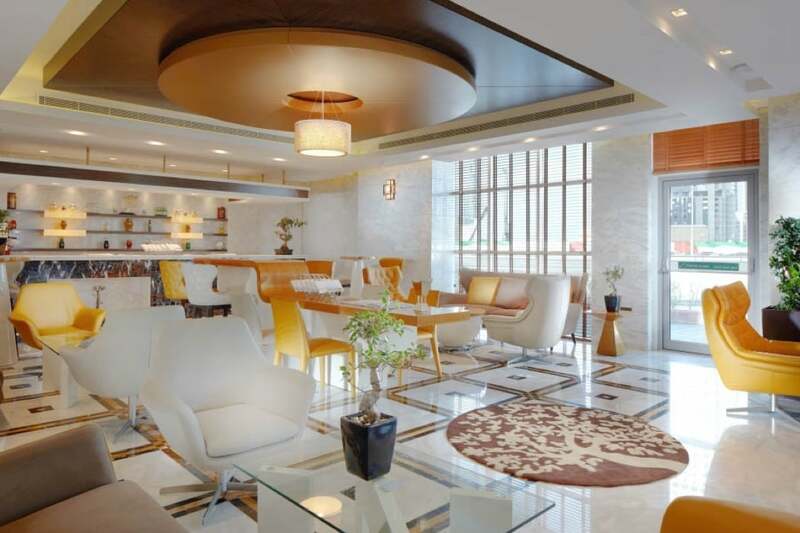 The hotel oozes luxury and contemporary style, it manages to both reflect its surroundings while also having an international feel. Flashes of colour are used subtly and indeed, classily. 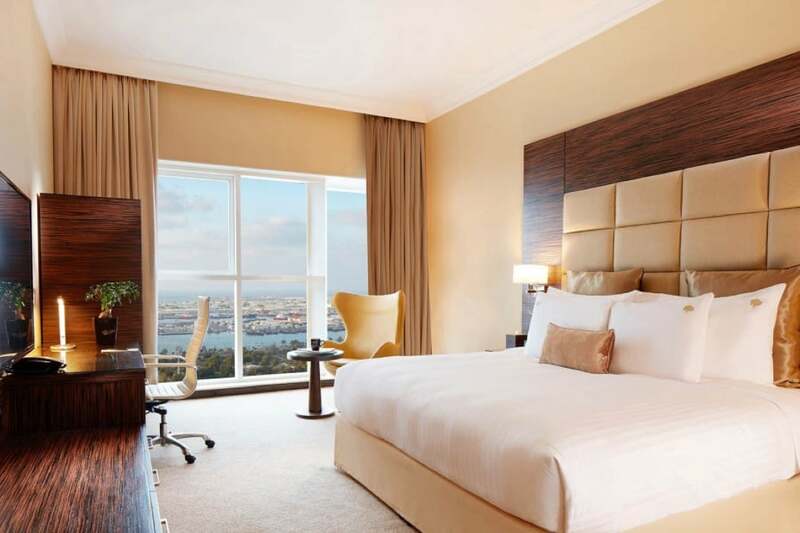 The hotel makes the most of the wonderful views; floor-to-ceiling windows overlook the Arabian Gulf or the city from the rooms and most of the leisure and fitness facilities are situated on the rooftop. The impressive facilities list here includes business, shopping, cultural and beach experiences topped off with an array of dining options. The rooftop pool offers sensational city views; grab a snack or refreshing beverage and sit back and relax. 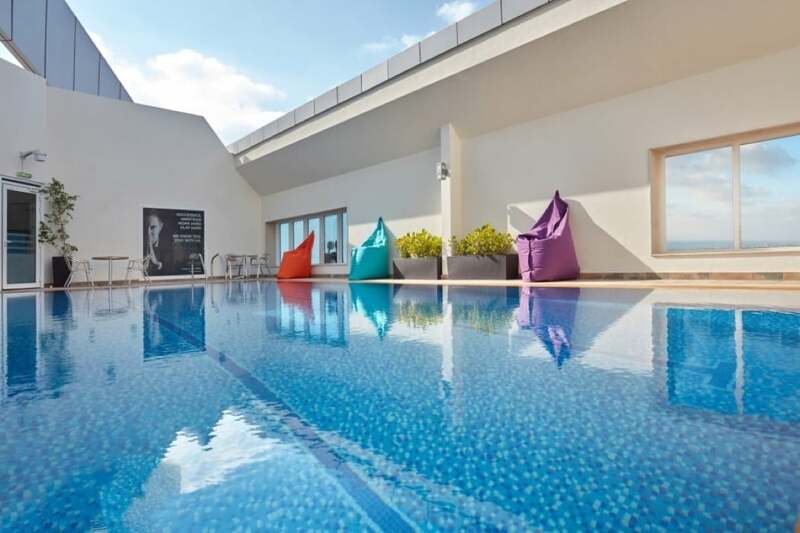 The rooftop is also home to the boutique gym which is open 24/7, why not unwind after your workout in the Jacuzzi. The exceptional service here is especially memorable partly due to the style in which it is conducted; the concierges are traditional Karim butlers that even wear top hats! They will happily provide local tips and recommendations and can arrange chauffeur-driven limousine services if required. Your room choices include the 30-37sqm. Jannah Deluxe Room, the 65sqm. 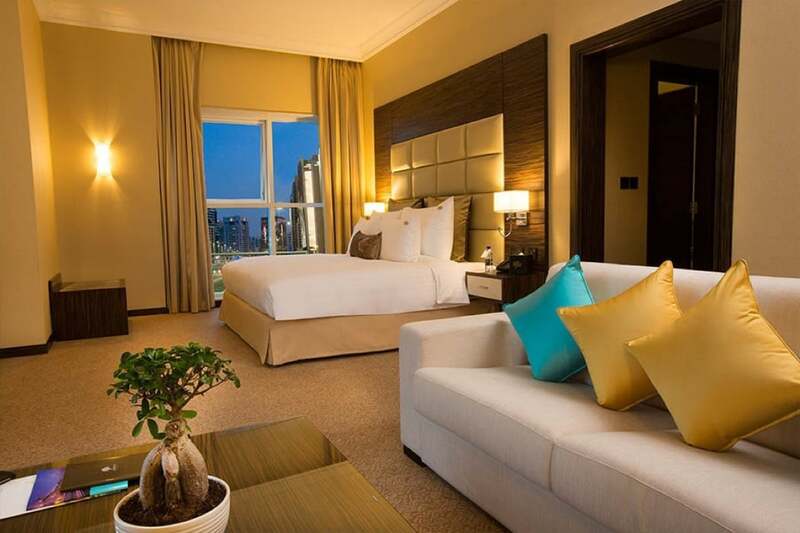 Jannah Deluxe Suite, the 72sqm. Jannah One-Bedroom Suite, the 176sqm. Royal Suite or the stunning 2-bedroom 213sqm. Jannah Penthouse. Room amenities include stylish bathrooms with rain shower, separate baths and Jannah signature organic amenities, fine 450 thread count linens, Karim services, coffee and tea making facilities, minibar, safe, plush bathrobes and generously sized bath towels. Plus of course, the fastest hotel internet in the world at a seriously fast speed of 1.2Gb per second. The Dining Room is the main restaurant here; open all day and serving delectable dishes spanning the Middle East, Asia and Europe, a truly international treat awaits. 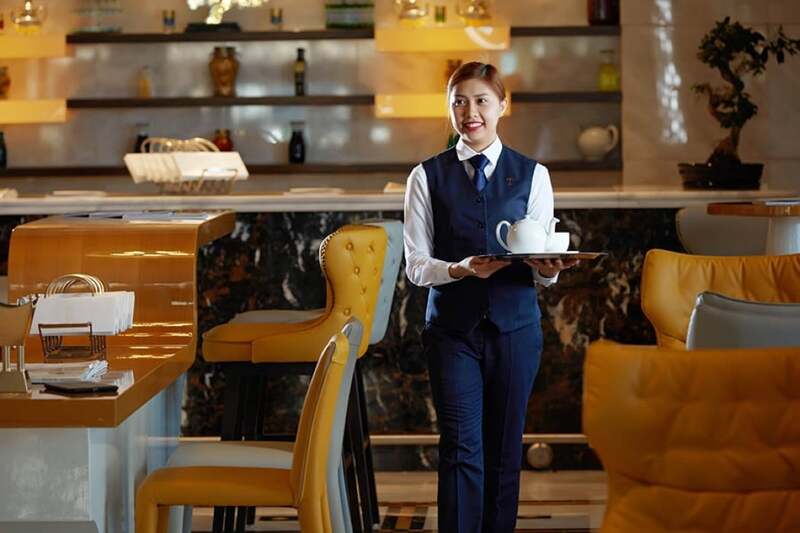 For post work drinks or to enjoy a light bite, enjoy the calming environment in The Lobby Lounge, the world’s fastest hotel internet is also available here. 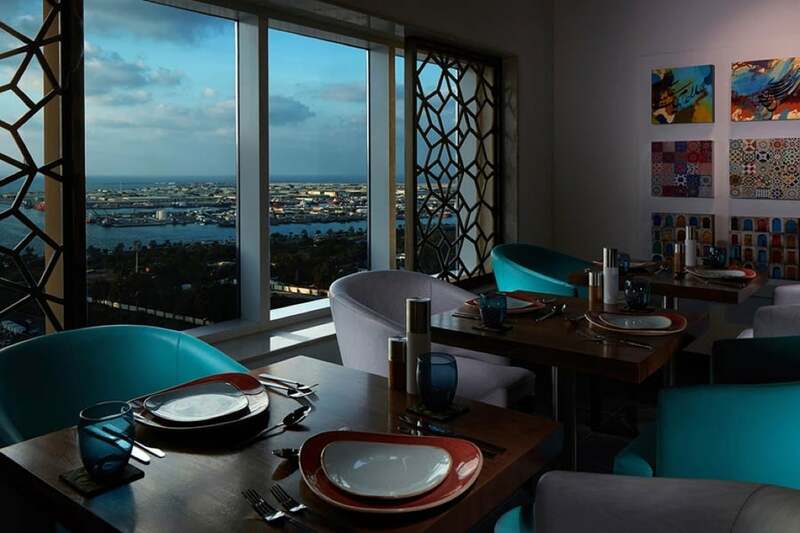 Malaga The Lounge is the place to go for a catch up with friends in a vibrant atmosphere; enjoy the breathtaking rooftop views, Arabic delicacies, flavoured shishas and live sports entertainment.